We are on the final letter of the ABC Cooking Series! It’s been an amazing journey, planning and planning and cooking for the entire list of English Alphabets. To make things completed everybody wanted themes. So we had 4 different themes, some even did an amazing job of dedicating each theme to a week. I wouldn’t have been able to do that. My collection of ABC Cooking has been a great learning experience. I tried my maximum of being true to the recipe or the origin. However as we tend to adapt to our tastes, there might have been some changes. Finally what really mattered in the end, was the fact all the recipes were so liked by all at home. And yes I managed to keep this marathon a secret from my hubby dear. I am going to break this to him and see how he reacts. Konda has been privy to this and gets excited reading each one. In terms of being organised and planned, this series made me stretch my extremes. This was the first time I really used all the features that make life easier and enjoyed reading all my fellow BM # 32 buddies. They have always been excellent in terms of their hard work and dedication, however this edition made it more obvious, their commitment and love to their blogging. Kudos to all of them on a fantastic job! Now coming to the final letter and the letter of the day Z! I have the famous Zebra cake. Of course I have something similar and blogged a Marble cake, though the cake ingredients were different. Truth be told, I am not sure on the difference between either. And I didn’t research on that. However I know that these cakes are so cool on look and tastes great as well. I had made this Zebra Cake many months ago along with Honey Chocolate Chip Cake for Amma’s Birthday. As I had said, I wanted to cover two letters but had to use it earlier itself. 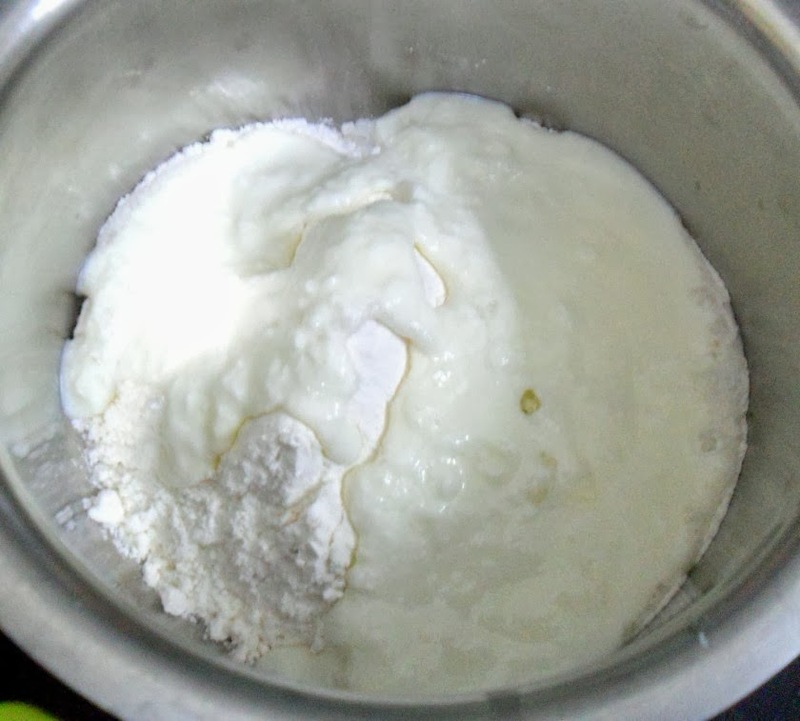 Strain the curds through muslin cloth for 10 mins, for the excess water to drain off. Beat the sugar well with the curds till the sugar is all melted. 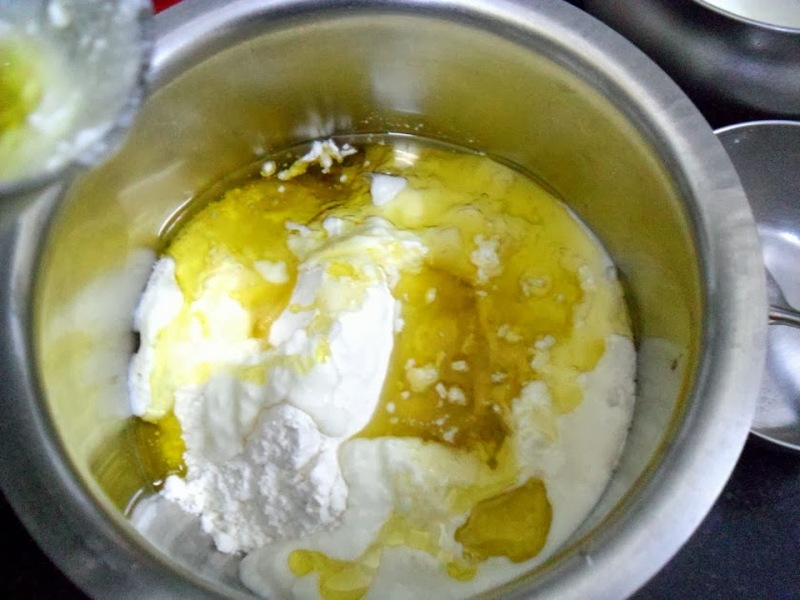 Add baking powder, baking soda and gently mix in curd sugar mix. Add Olive oil, to the mix, gently mix in. 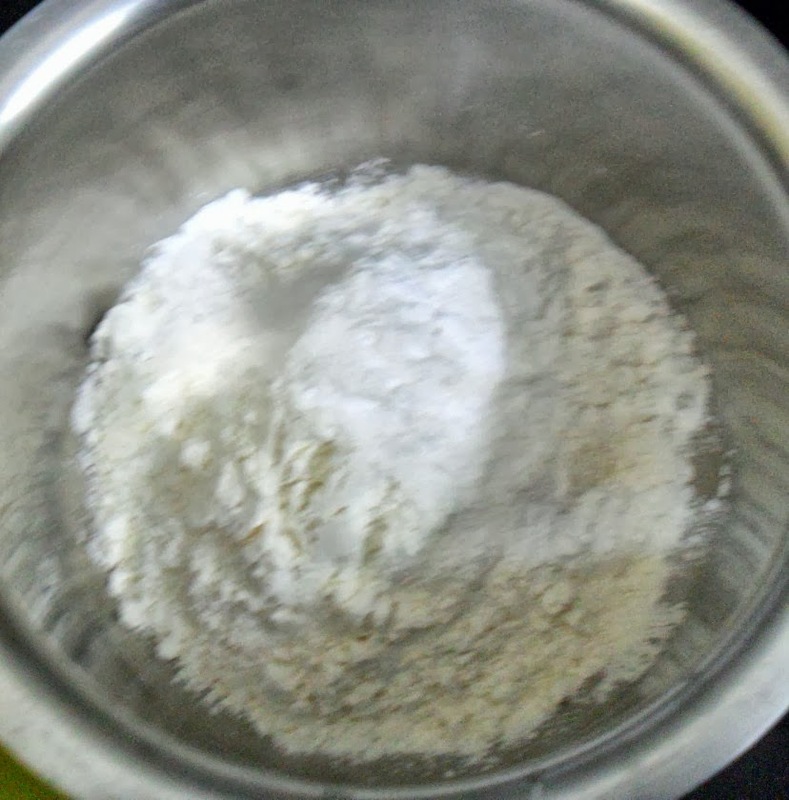 Now add the flour little by little so as not to over beat it. 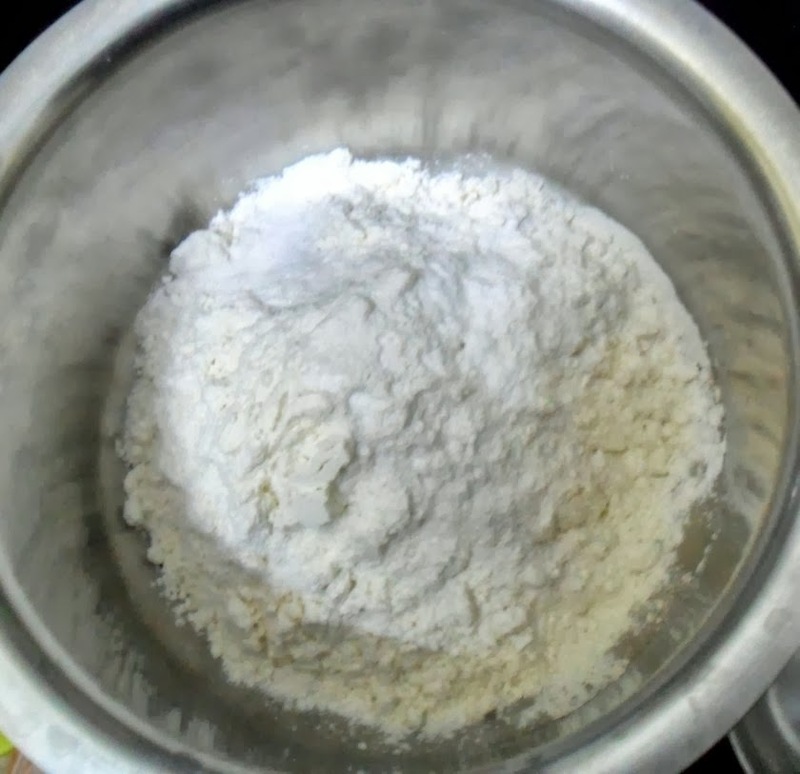 Take half of the batter to another bowl. In the first bowl add vanilla essence. 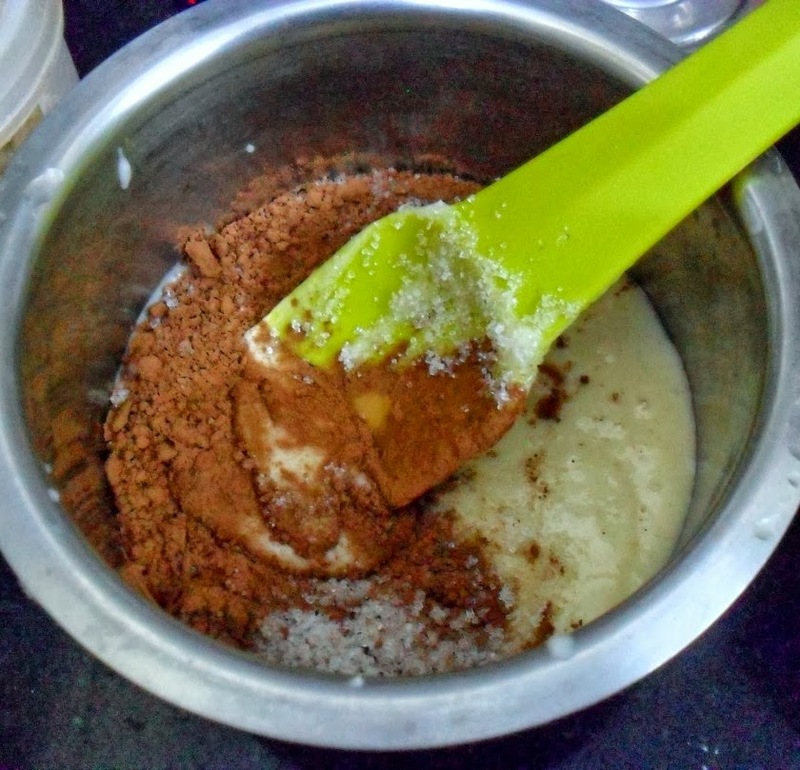 To the second bowl, add the cocoa powder, instant coffee powder, chocolate essence. Mix well. Add milk as required to get the batter to fall loosely. 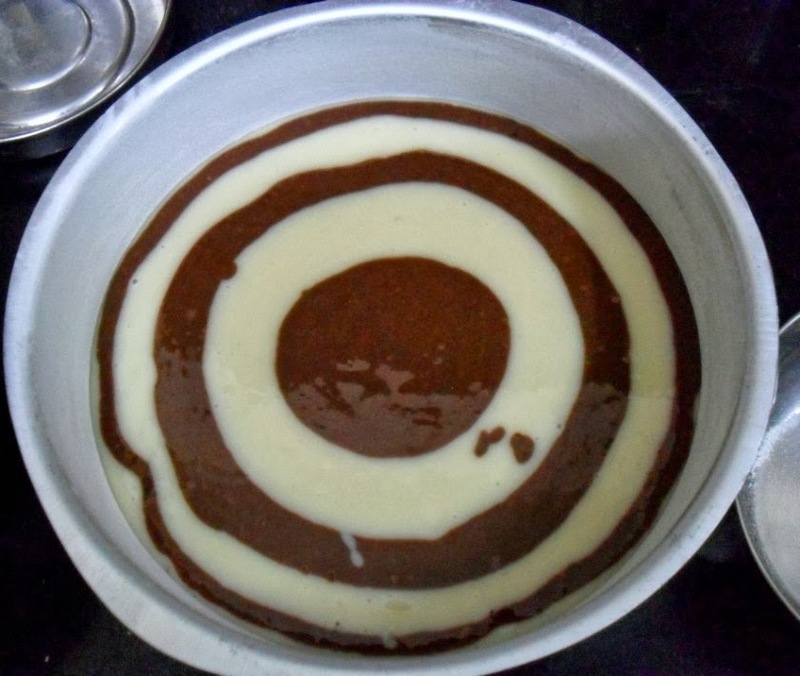 Pre heat the oven at 185 C.
In a greased baking tin, to get the zebra effect, first pour 1 tbsp of vanilla batter, on top of it, now pour the chocolate batter. The batter will soon start spreading. 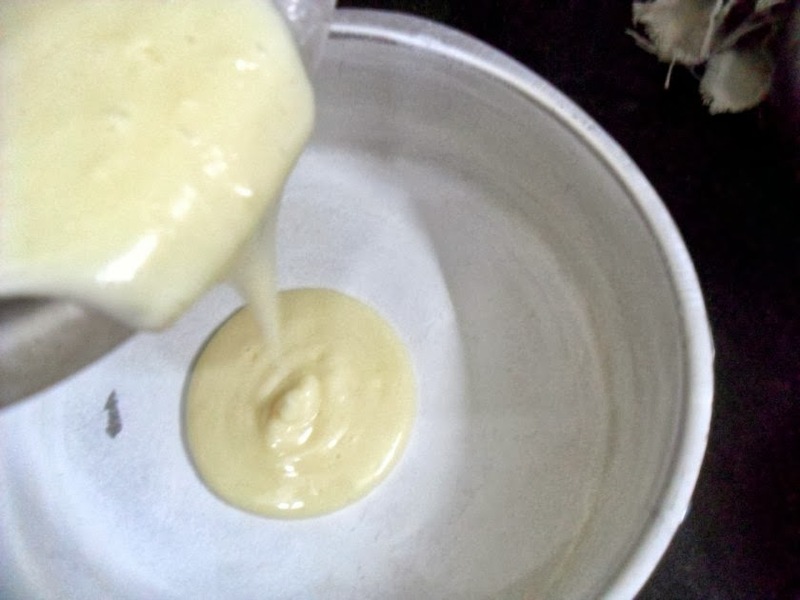 Continue pouring each batter over the other layer. Finally the entire batter will spread out. 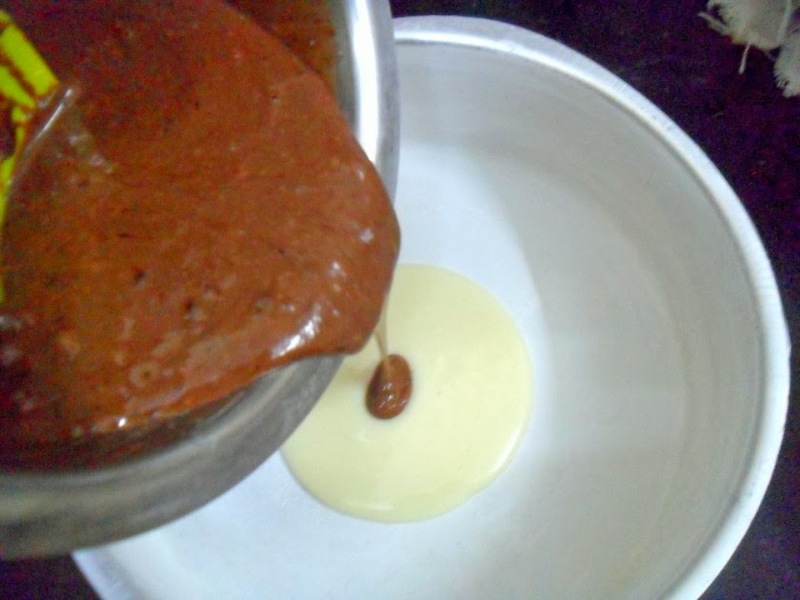 Bake the cake at 185 C for 25 mins. Check if the cake is done by inserting a knife and check if the knife comes out clean. Let it cool over a rack. When you slice pieces you will find a beautiful zebra pattern. Zebra cake looks super spongy and extremely inviting.. Prefect pattern. What a beautiful ending to the marathon.the zebra Cake is fantastic..and a dream..wonder when I would bake…but truly it is amazing. Thanks for the wonderful mega marathon, we loved it. Such a prettuy looking cake Valli. This will be a hit in our house as well. Valli this is on my to list , lovely step by step, and had such a wonderful marathon, cant thank u enough for setting this..
Love the fabulous pattern there. O ! 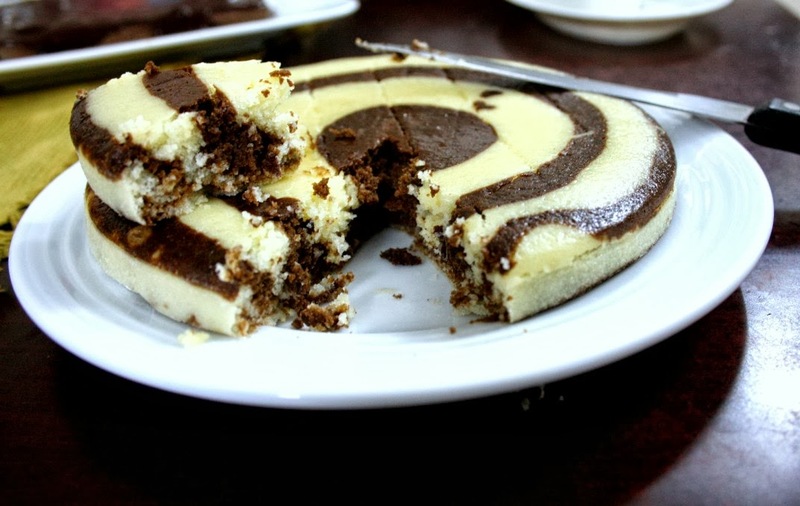 I am loving this zebra cake …looks so delicious !! This looks so pretty. I have never tried this one. Must try it soon. You got the perfect stripes. Looks yummy too. The patterns are so perfect in the cake! Thanks a lot for hosting the mega marathon and looking forward to many more in the coming months. The cake looks superb and marks a great ending to the month long marathon..I am not 100% sure, but I think the difference between zebra cake and marble cake is the patterns. 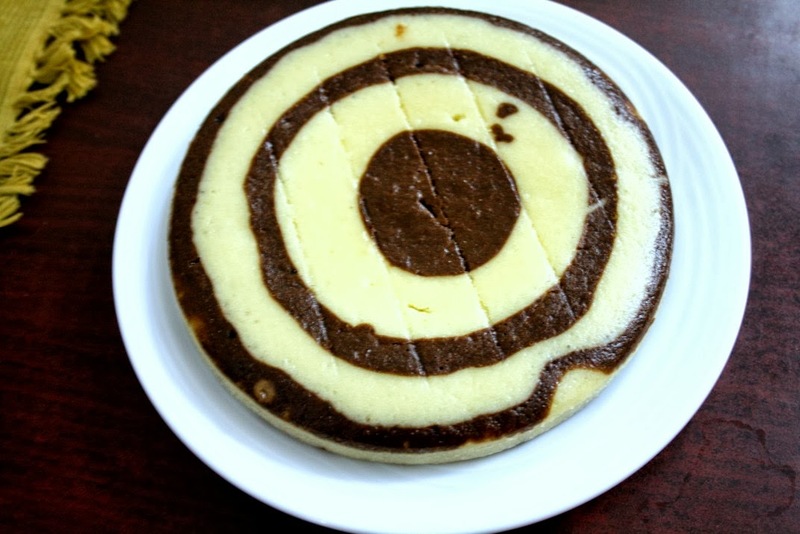 For Zebra cake, you make the concentric circles and for marble cakes, you add the dough on top of each other and then run a skewer to get different patterns..
Anyways, I loved this BM and now looking forward to April! Zebra cake looks so perfect and I loved this Bm. Looking forward for more editions!!! Fantastic pattern! I am yet to try my hand with the zebra cake.